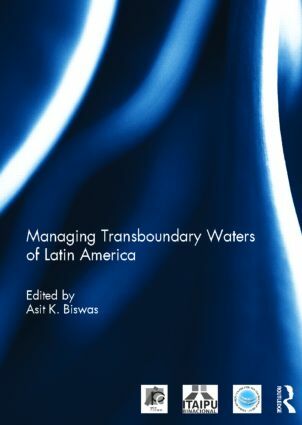 Definitive analyses of transboundary water management in Latin America are conspicuous by their absence. The situation is a little better for rivers compared to groundwater resources. Transboundary water management in Latin America has been evolving in a somewhat different manner compared to other continents. The book includes eight authoritative case studies of Latin American transboundary rivers and aquifers, as well as a thinkpiece on the complexities of managing aquifers based on global experiences. The case studies are of different scales, ranging from the mighty Amazon to small Silala. The overall focus of the book is on ways in which such difficult and complex rivers and aquifers that are shared by two or more countries can be managed efficiently and equitably, and on the lessons, both positive and negative, that other regions can learn from the Latin American experience. This book was published as a special issue of the International Journal of Water Resources Development. Asit K. Biswas is the Founder and Chief Executive of the Third World Centre for Water Management, Mexico. He is a Distinguished Visiting Professor at the Lee Kuan Yew School of Public Policy, Singapore, and Indian Institute of Technology, Bhubaneswar.